This is the best way to use up a bag of plums which are too sour. 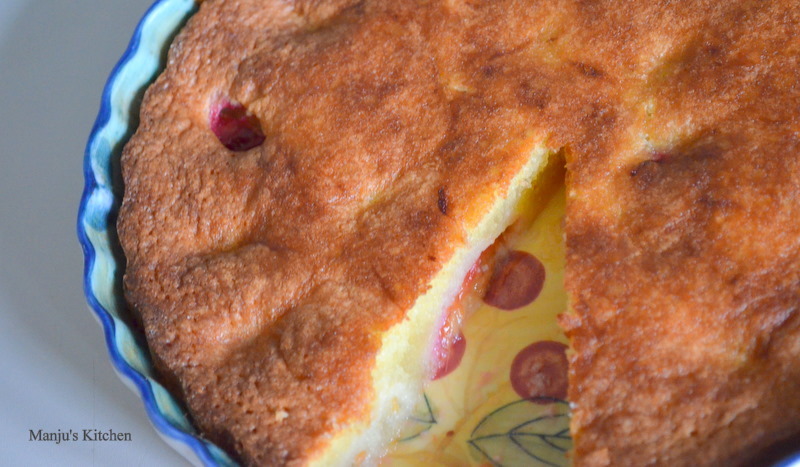 Yes, I have to admit, that’s why I made this cake the other day; the plums were too sour to eat and when I turned it into a cake, no one noticed that they were the sour plums which they had been neglecting! 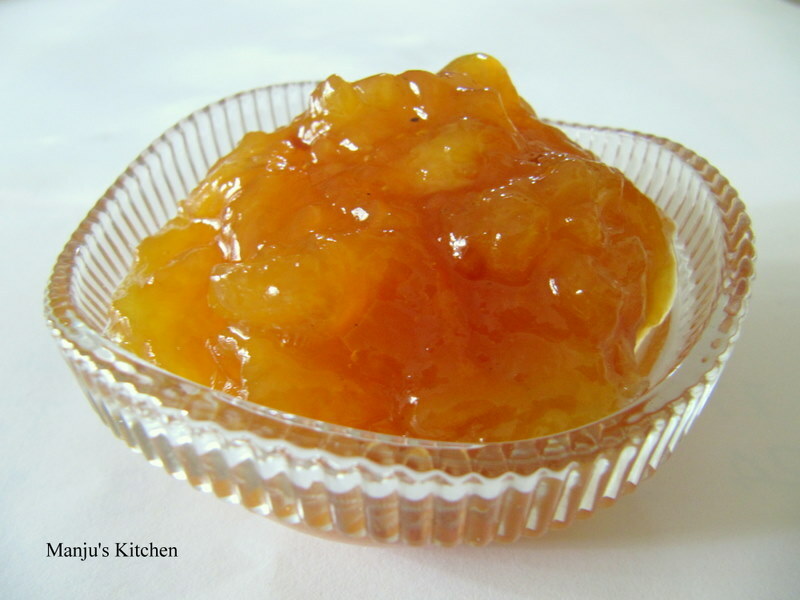 To be frank the sourness of the fruit works well with the sweetness of the vanilla cake. I like to bake this cake in a ceramic tart tin (24 cm) but you can use a normal cake tin if you prefer. Just arrange the fruit pieces evenly so that you get a good spread of plum slices all around. Cut the plums in half, remove the seeds and then cut them into quarters. Get the tart tin (or cake tin) ready by brushing it with melted butter and then dust with flour all over the bottom and sides. Keep it in the fridge until you are ready to pour the cake batter in. 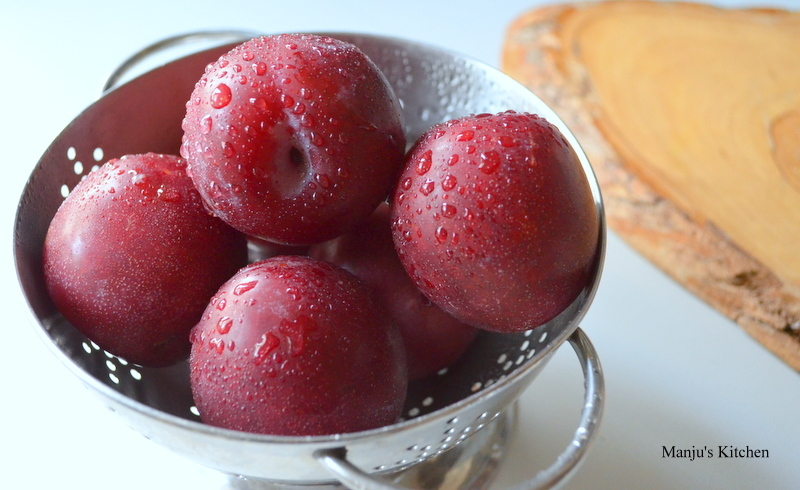 While baking, the dough rises and moulds itself around the fruit pieces, leaving the soft and delicious plums in the centre. Pre heat the oven to 190° Celsius. Whisk butter and sugar until creamy and then whisk in the eggs one by one. Add vanilla extract and whisk in. Add the sifted flour mixture and fold in with a spatula. 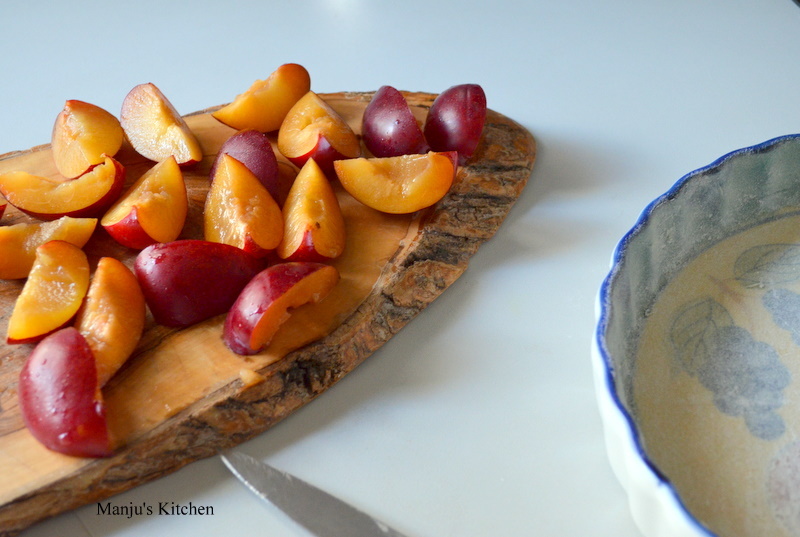 Spread into the prepared cake tin and arrange the plums all around. Bake in the pre heated oven for 30-40 minutes. I am definitely going to try this, it looks amazing!